Home / beauty blog / beauty blogger delhi / Personal / red lips glamour / red lipstick makeup / RIP - Red Lipstick ! RIP - Red Lipstick ! The red lipstick was meant to be festive, ceremonial and alluring. Reserved for that special occasion- it was supposed to lift my mood, grab attention when I felt like and awaken the diva in me. This is the reason I’d collected reds in almost every shade, from blood red, cranberry to even orange. My love affair with this feisty colour was going very strong until the day I spotted a woman in her pyjamas (not lounge pants but the ones we wear to bed) buying vegetables in RED Lipstick. I watched in disbelief and cringed. 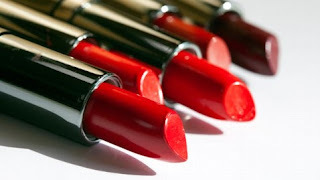 Then “the famed red-lipstick” became a regular sight, at casual luncheons, a kid’s birthday party, and heck even to the playground or when dropping kids off to school at 7 am. It robbed the red lipstick of its festive, transformational value and reduced it to plebeian. The red lipstick was associated with sultriness, with cine goddesses -a la Marilyn Monroe-that we aspired to look like while growing up. Somewhere down the line, women started associating it with empowerment (courtesy media). It’s a pity that even conventionally beautiful women have to resort to a lipstick to feel good about themselves and that too all the time- day or night. Women with lustrous hair and glowing skin (which is everyone in the city I currently reside in) really don’t need to hide behind a stain of lip-colour and certainly not 24X7. Scientists attribute the allure of a red lip-stain to the mimicking of red blush experienced during sexual arousal. Whatever may be the science behind it, one fact that everyone will agree with is that it makes everyone look good and feel special! So should it not be preserved for that special occasion? 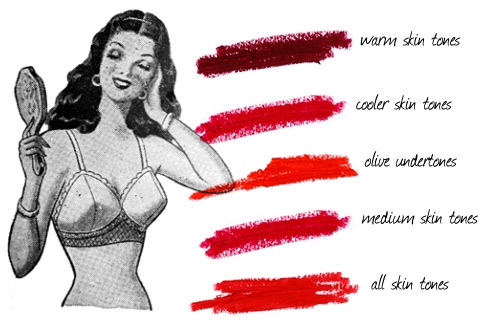 Sadly though, the very Red that was meant to make a woman stand out it has instead turned into a kind of homogenizing factor due to such debauchery. Last night while dressing up for a party I wished to turn on the oomph. First, I pulled out my red heels to go with a plain grey dress. Then my hand reached out for the coveted red lipstick. Suddenly an image of peroxide blondes with blood lips flooded my head, as an afterthought and with heaviness in my heart I picked out the mauve instead.